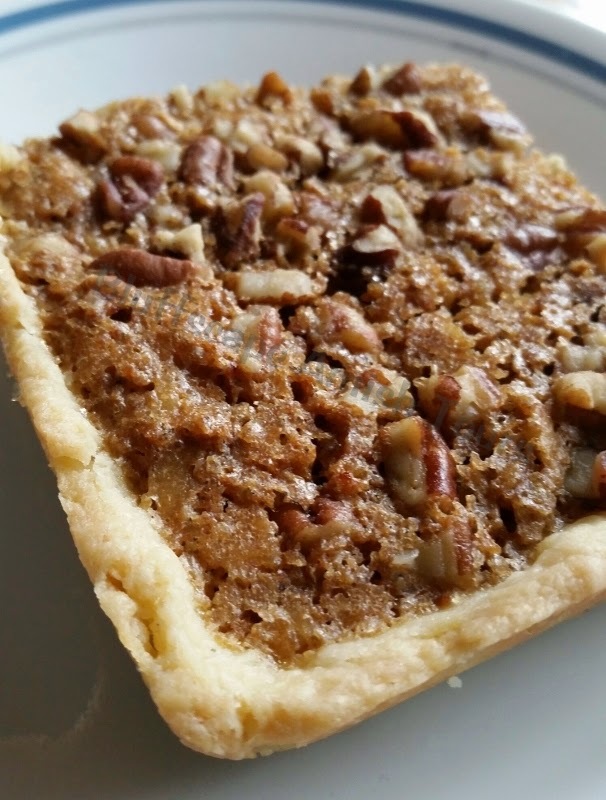 How many of you enjoy a delicious piece of pecan pie? If you like pecan pie, then you will enjoy this recipe I received from an Amish friend. The original recipe for Pecan Tassies creates small individual bite-sized treats. But, the Amish ladies turned this mini treat into yummy, easy-to-make bars. This recipe isn’t as sweet as a typical pecan pie recipe, but just as tasty! Beat cream cheese and butter until creamy. Gradually add flour to butter mixture. Cover and chill for one hour. Press dough into bar pan (11×15) bottom and up sides. Stir ingredients together–mixture will be dry. Spoon into crust and spread. Bake at 350 degrees for about 30 minutes or until set. Grab a cup of coffee or a glass of cold milk and you are ready for a snack. *The recipe didn’t come with many details, so you may want to keep an eye on the oven as it is baking. Amish ladies are wonderful cooks and when they serve their bars you better be hungry! Most bars that I have been served when I visit them are at least 2 x 2 inches in size!